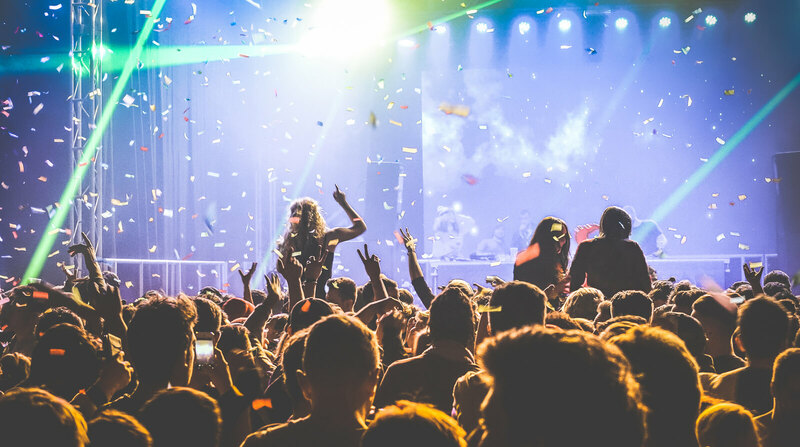 Whether you’re making the trip to T in the Park or planning ahead for Reading & Leeds, festivals are a summer highlight for many people across the country. When it comes to planning your trip you’re probably thinking about tents, sleeping bags and a cheeky fancy dress costume or two – which means it easy to forget something like making sure your car is set for the trip. If you’re heading off on a road trip to your festival of choice this summer, then you want to make sure that your car doesn’t let you down and that you stay safe behind the wheel. After all, you don’t want anything to interrupt your weekend! We’ve rounded up advice on some of the key things to remember when it comes to safe festival driving, so you can focus on having fun! When it comes to hitting the road to get to your festival of choice, one of the most important things you can check before you leave home is your tyres. Look out for cuts or bulges, and check that the tread depth is at least 1.6mm across the middle two thirds of the tyre. If the car is full of tents, sleeping bags and even more passengers than usual then the tyres will be under more pressure, so make sure they get some extra TLC. According to the AA, you should check your engine oil every couple of weeks, and make an extra effort to check it before any long journeys. You should also check your coolant level is within the Min and Max marks; make sure you do this when the engine is cold! Another thing to do before you set off is make sure your car is stocked with a few road trip essentials. A warning triangle is handy to have in the boot in case of breakdowns, and a first aid kit is always good to have nearby. Make sure you have some spare sunglasses in the car to protect your eyes from the glare of the sun on long journeys; just make sure they don’t affect your ability to see the road. If the weather is warm, keep a few bottles of water in the car too. Planning your trip is the safest way to ensure success. Make sure you know the route, and have an idea of how you’re getting there – whether it’s using a Sat Nav or researching the route beforehand. Another key thing to remember is to top up your fuel. Try to start with a full tank of petrol – you don’t want to encounter pesky festival traffic, only to find that you’re running dangerously low on fuel. That’s a surefire way to ruin your day! Make sure you don’t overload your car too; Red Driving School advise that a common problem for new drivers is overloading their vehicle. “Overloading a car is not only impractical and uncomfortable, it’s dangerous too as the extra weight can dramatically affect the handling and braking,” they say. Stay at a safe speed throughout the journey, and if you get stuck in traffic be sure to maintain safe distances between yourself and the cars around you. Getting your car out of a field at a festival can be a task – particularly if it’s spent most of the weekend raining. Having a spade in the boot can be a good idea if you’re worried about your car getting stuck in the mud, although you can also use some other things to help. If you notice that your car is stuck when you try to move away stop driving immediately to avoid digging it in further, and prop something under the back wheels to give some more traction – wellies can work well! Driving after a festival can mean that you’re tired after a long weekend spent in a field, and driving long distances can be a big drain on your energy levels. Make sure you plan ahead and get plenty of rest the day before you have to leave so you’re feeling good for the journey, and ensure that you don’t drink alcohol before you head home. Driving under the influence of alcohol or drugs can result in a fine, a ban or even a prison sentence in serious cases, so it’s vitally important that you make sure you’re not under the influence the morning after. It’s worth remembering that driving the morning after can still result in you being over the limit, so if you’re planning on leaving early to beat the car park queues make sure you stop drinking at a sensible time the day before, to ensure you’re safely under the limit to drive the following morning. Stop for rest breaks on the way home to get a cold drink or a coffee and stretch your legs, and if you have other people in the car encourage them to stay awake with you and chat to keep you feeling awake. Keep the windows open for some fresh air, too! Don’t get distracted – having a car full of passengers can be distracting. Limit the amount of people that you take with you, particularly if you haven’t done many long trips before. Always make sure you don’t carry more passengers than your car is made for, and ensure that everyone wears a seatbelt. Don’t take valuables – taking valuables to a field is never a good idea. Make sure you leave anything special or expensive at home for the weekend. Lock your car – never leave your car open when it’s parked in the festival car park. Keep it locked and keep the car keys safe and dry at all times. Beware of loud music – driving with loud music can be distracting, so wait till you arrive to truly get into the party mood!